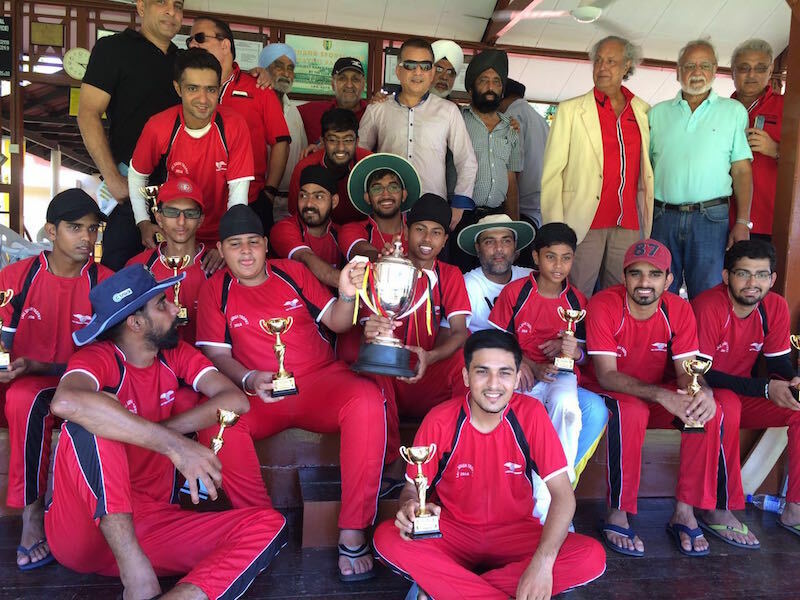 South defeated North in the annual Malaysian Sikh cricket meet for the Lall Singh Trophy this year. Held in Penang on Sunday (17 July 2016), the annual assembles together young and senior cricketers for in honour of cricket legend Lall who holds the disntinction of being the only Malaysian to have played test cricket. The event was organised by the Penang Sikh Association (PSA) under the auspices of the Malaysia Singapore Sikhs Sports Council (MSSSC) at the Penang Sports Club. The players are divided into two zone: north and south of Peninsular Malaysia. Lal played for India in their debut Test at Lord’s against England in 1932). He played for Southern Punjab for two seasons, and returned to Malaysia where he lived out his life as a groundsman. He played 13 matches for the Federated Malay States and Malaya, scoring 722 runs and taking 34 wickets, writes Mihir Bose (A History of Indian Cricket, 1990). On Saturday, PSA led by its president Dr Kuldip Singh Sohan hosted a dinner for players, officials and former greats of Malaysian cricket players like Lakhbir Singh Chal, Dr Amarjit Singh Gill and Dr Harjit Singh. The wining South Team was managed by Sukdev Singh Sidhu while the North Team was under Dr Jaspal Singh. Amandeep Singh from South won the Man of the Match award while Sagar Singh, also from South, won the Most Promising Player award. The last two editions of the Lall Singh Trophy were organised in Johor Bharu. Perak Sikh Union (PSU) will host the Lall Singh Trophy 2017. PSU president Gurjeet Singh Rhande said it plans to hire a coach and scheduling coaching clinics for budding cricket players in the state. “Trainings will also be scheduled for cricket with the objective to unearth cricket talent among the Sikh Community in Perak,” he told Asia Samachar. At its exco meeting, MSSSC has initiated plans to introduce a 6-a-side cricket at the annual sporting event Gurdwara Cup and Sikh Festival of Sports 2017. MSSSC will also work with the former greats to make cricket one of the core games to be organised by state affiliates during their Vaisakhi games celebration and thereafter to make it a popular sport among the Sikh Community. On 6 June 1927, Malaya beat Australia by 39 runs to make history. Lall Singh became the first Malaysia born test player, according to one report.